Mangos are one of my favorite fruits, and we’re right in the middle of the season for my favorite varieties, Kent and Keitt. These big, green fruits are silky and dense, perfect for cutting into chunks and eating for dessert. 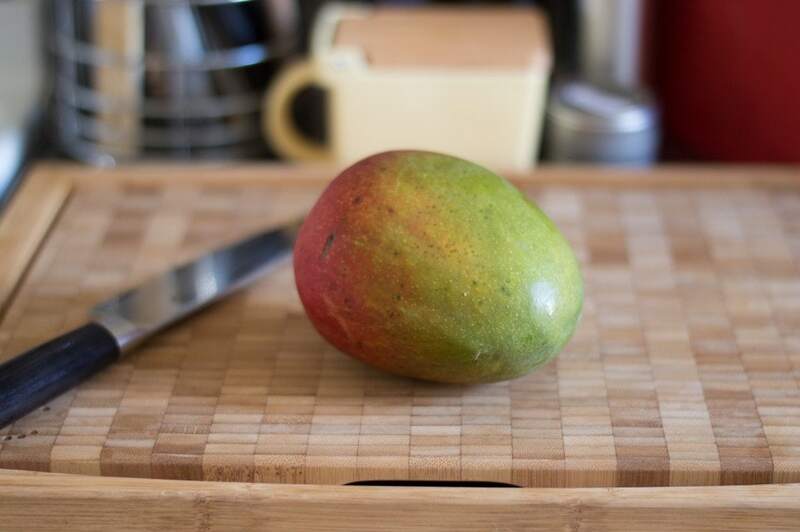 First, place your mango on a sturdy cutting board. I’m a big fan of this Flipper Cutting Board, sent to me for review last week. It stays firmly in place on the countertop, a very important thing when you’re working with a big, slippery piece of fruit! 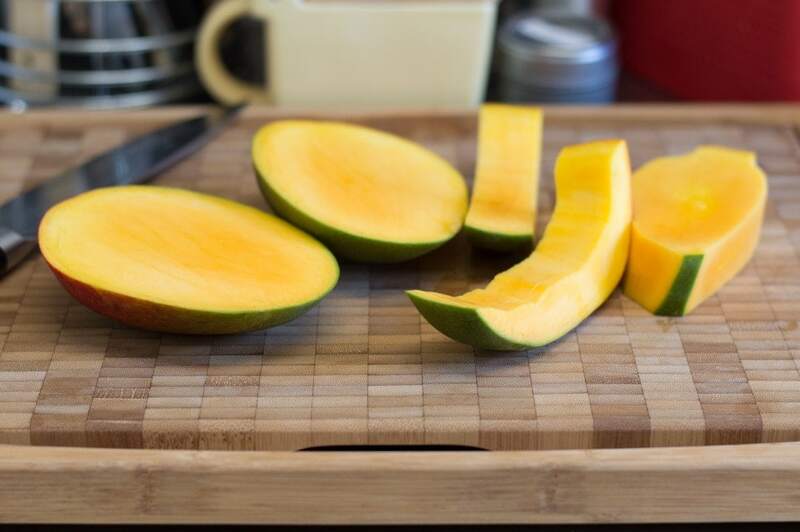 Next, use a sharp knife to slice off two large sections of mango, cutting as close to the pit as you can. Slice off the two skinnier sections of mango from the sides of the pit. There will still be a fair amount of mango flesh clinging to the pit. 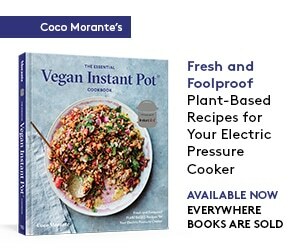 I consider this part the “cook’s treat,” chomping on the mango pit over the sink and then flossing my teeth afterward, as this part is usually the most fibrous. While the skin of the mango is technically edible, it tends to be tough and bitter, especially with these larger varieties. 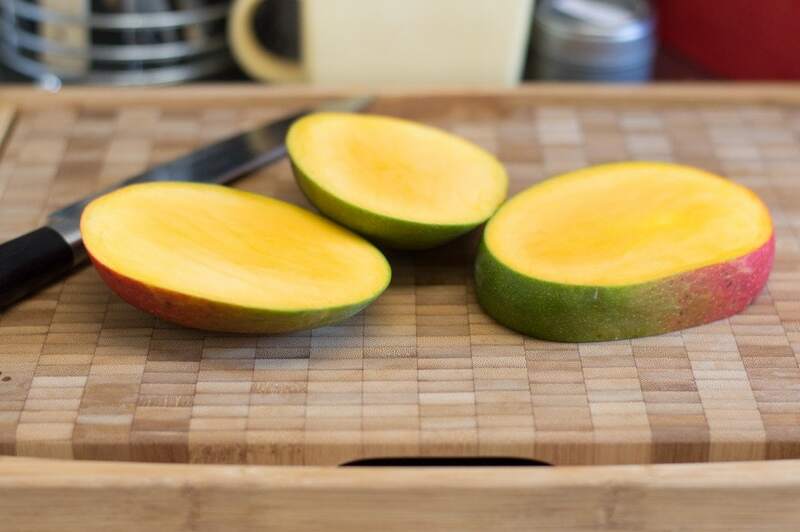 To remove the skin, slice each section of mango into approximately 1-inch strips. 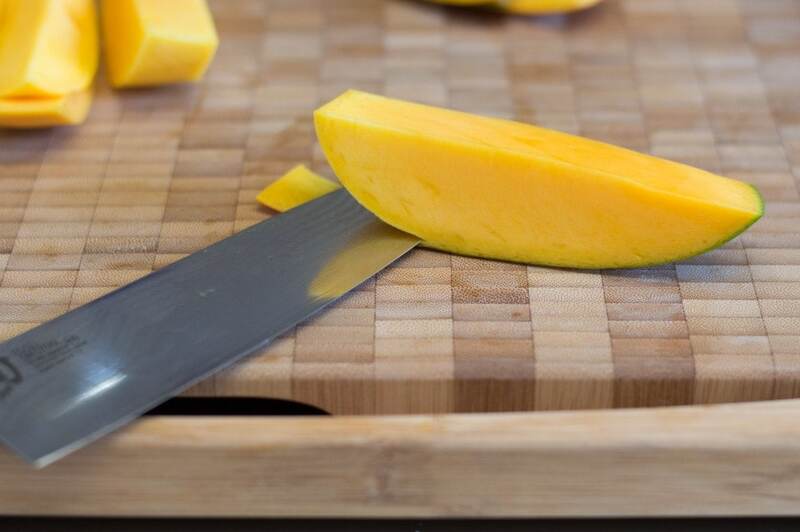 Begin to slice the skin away from the mango as closely as possible, exerting pressure against the cutting board as you slide the knife through the flesh from one end to the other. Trim off any extra bits of skin once you’re done — as you get more proficient at this step, you’ll get better at removing the skin in one piece. 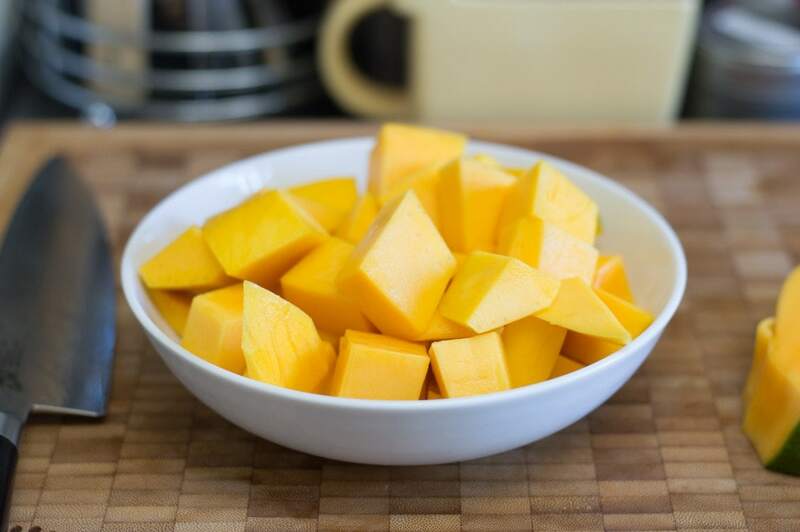 Cut the peeled slices of mango into 1-inch chunks, and serve! At this point, you can also freeze the mango for later use. 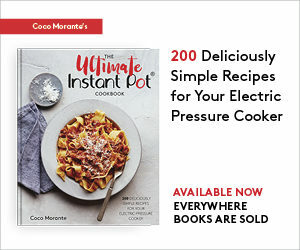 Just spread out the pieces on a cookie sheet, freeze for at least one hour, then remove from the sheet and store in freezer bags for up to 6 months. Good to know! I’m a recent mango lover and have had one heck of a time cutting them. I didn’t realize you wait to peel the skin until the end. Excited to try this new way! There is also the Filipino method, somewhat similar wherein you slice the top halves from the center stone then make a simple crosshatch pattern with a knife, the pop it up from the bottom to nosh on directly or slice in a similar manner. That really doesn’t explain the method well, so I should send a pic if I get around to it. Were you the winner last year when the editors were seeking new content? I’m not sure what you mean about editors and winning? In any case, I’m pretty sure I know what method you’re describing!